This is one of my favorite pieces of all time. It feels like a scene from a play. Secluded but well prepared. 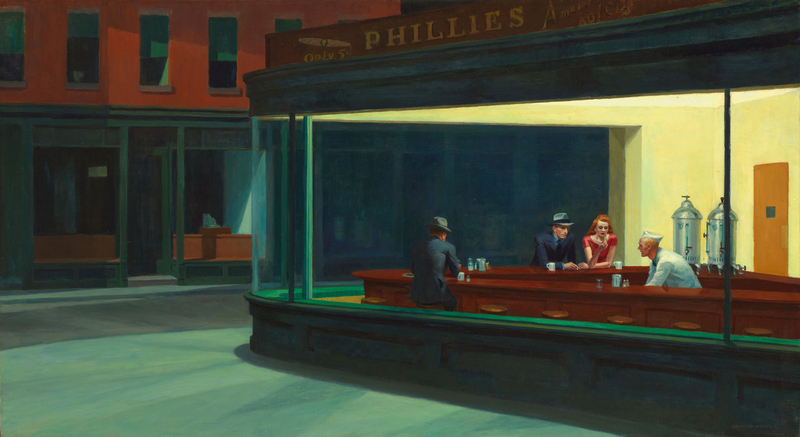 It is Hopper’s most famous work and is one of the most recognizable paintings in American art. The man in the suit may have represented the original title of the piece, “Night Hawks,” due to his nose shape. The curved glass is my favorite part of the painting. Very technical in nature. Who are these people at a late night diner?